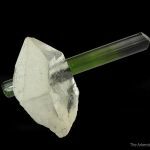 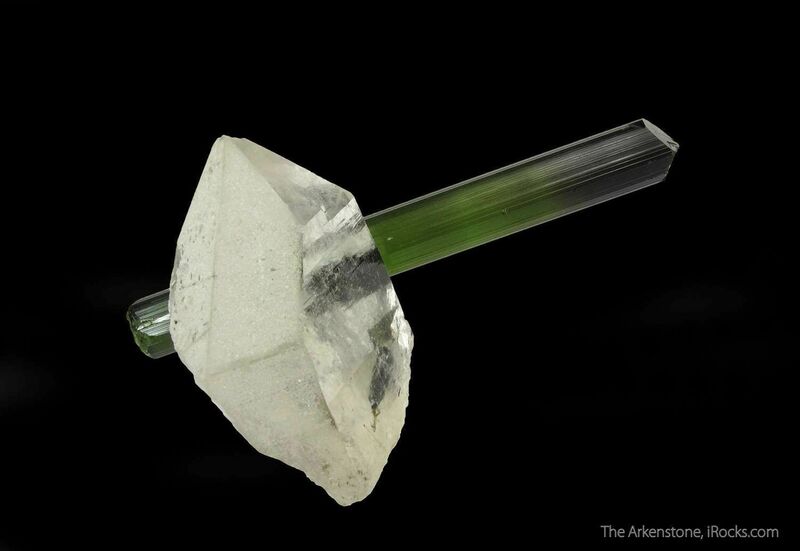 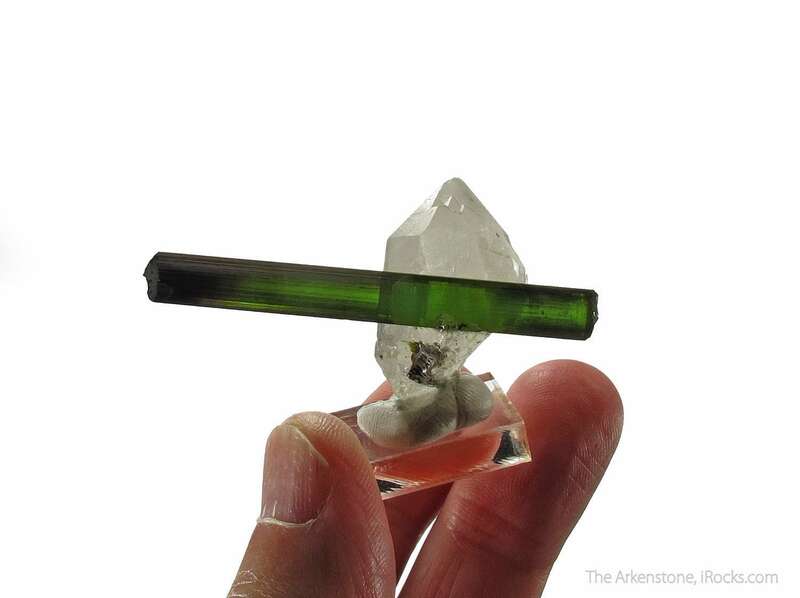 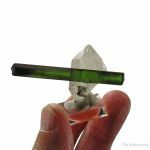 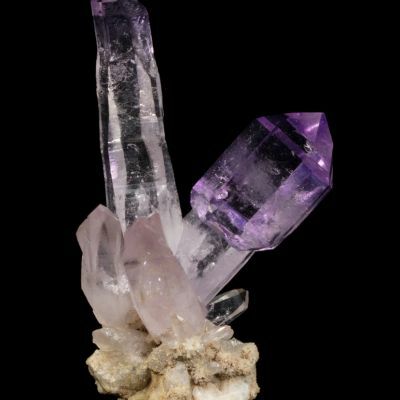 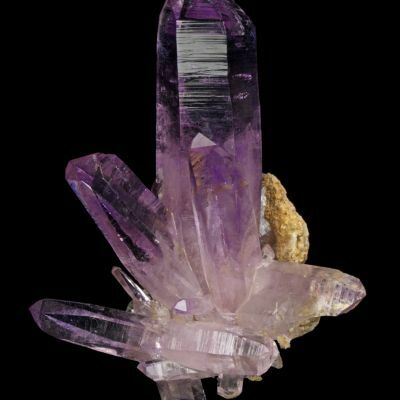 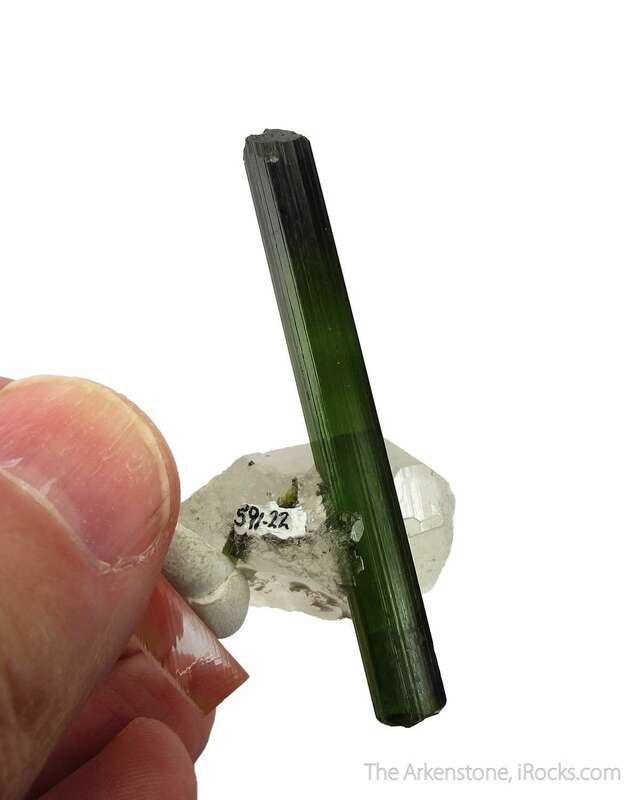 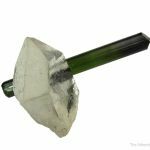 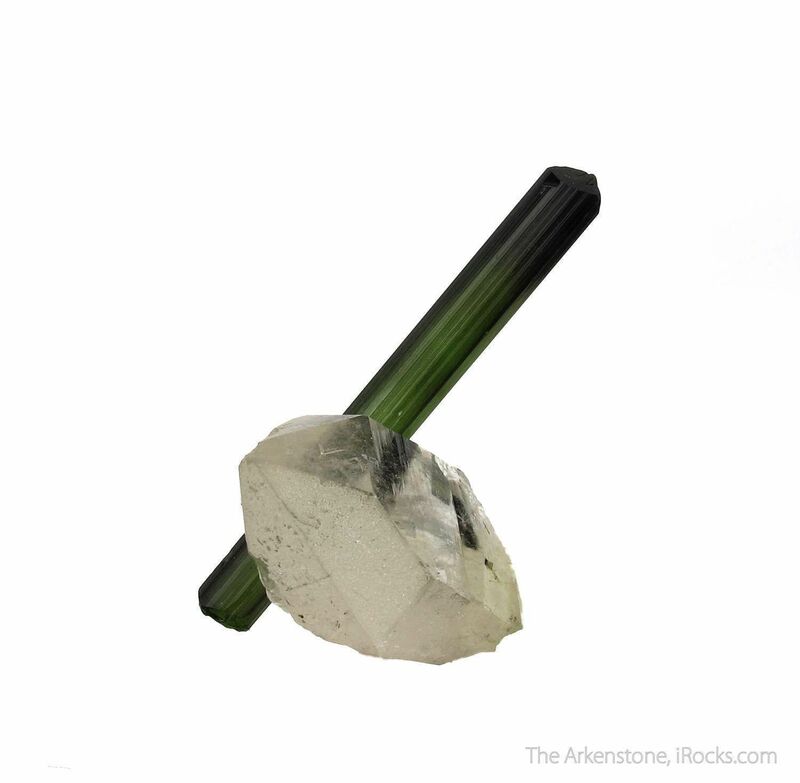 This is a first-class combination piece in which a gemmy, 5.7 cm Elbaite Tourmaline from the famous Cruzeiro Mine of Brazil impales a gemmy Quartz crystal. 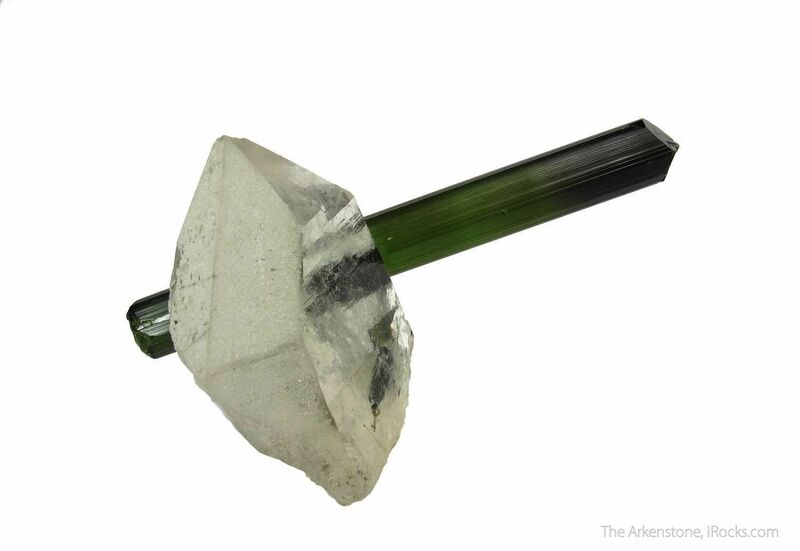 The green Elbaite crystal has excellent gemminess and nice color saturation, with a darker, very good termination. 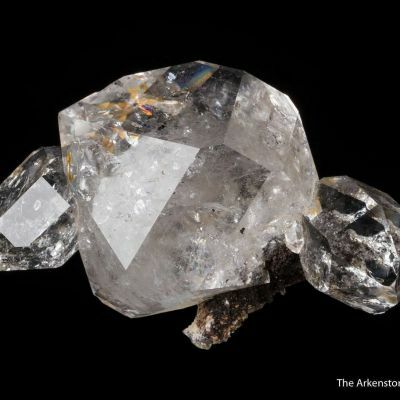 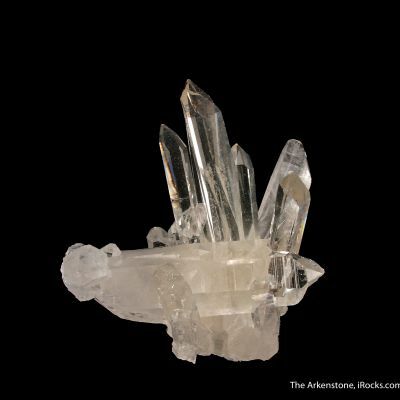 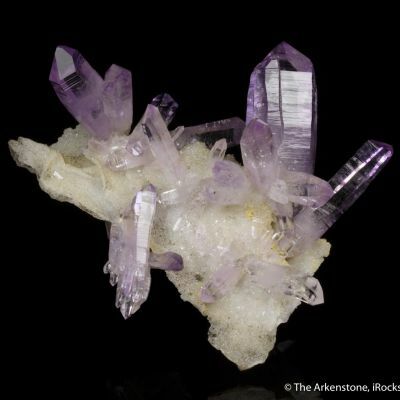 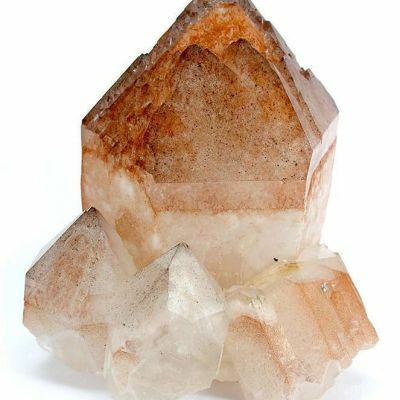 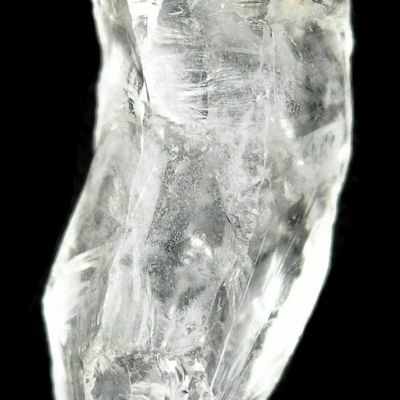 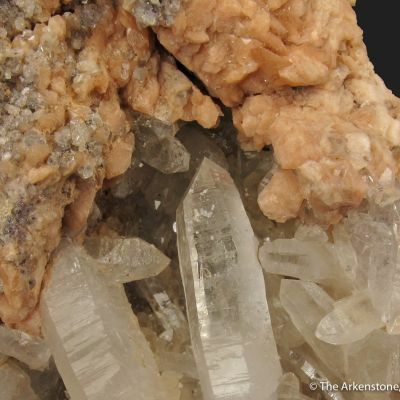 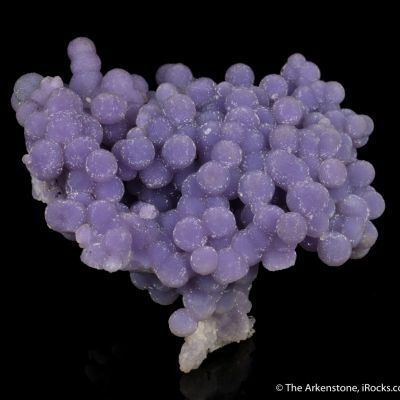 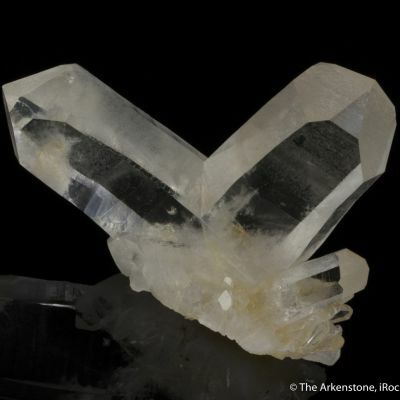 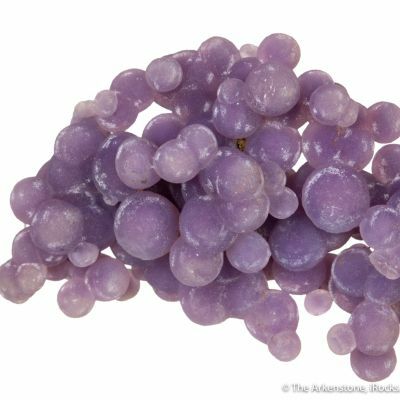 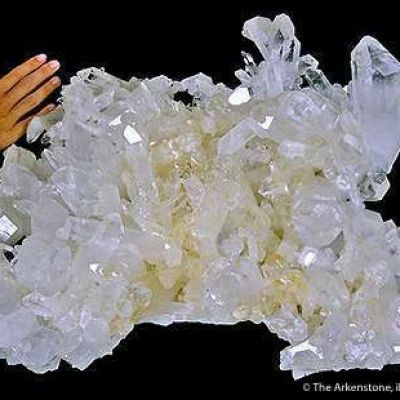 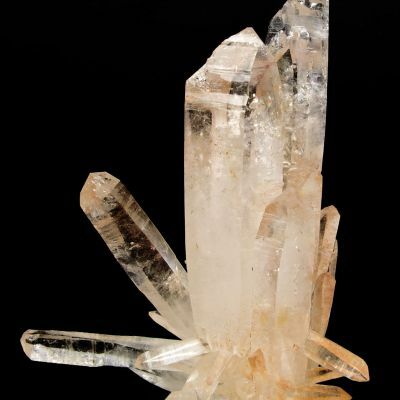 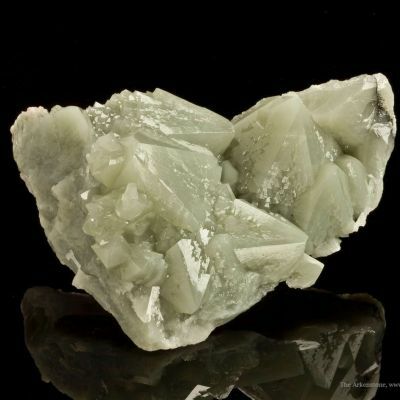 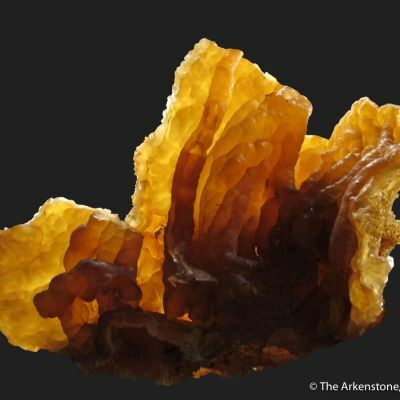 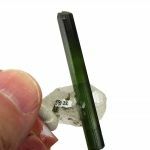 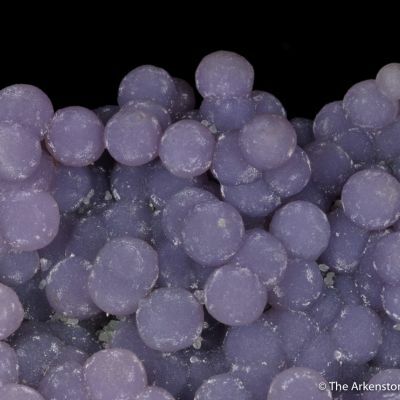 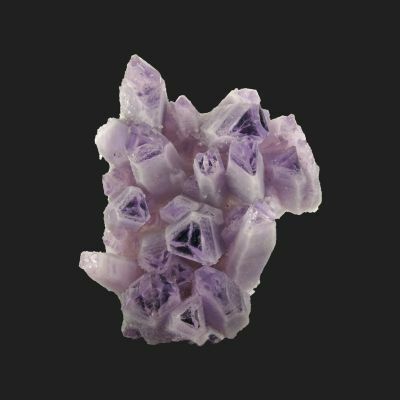 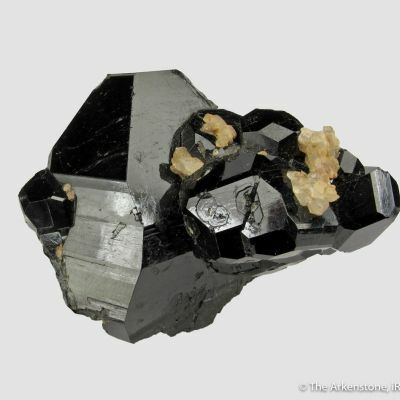 The luster of the Elbaite is good, and the 3 cm Quartz crystal has superb luster that allows you to see right through it, along with a few frosted faces that provide excellent contrast. 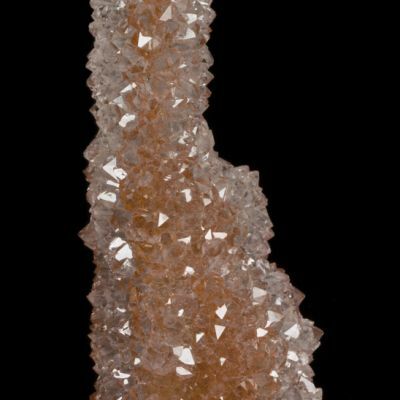 This is old material, from the 1970s or 1980s. 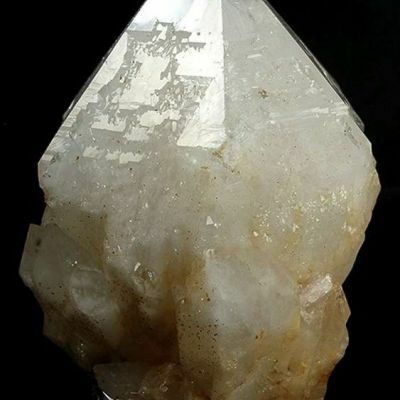 The aesthetics are exquisite.